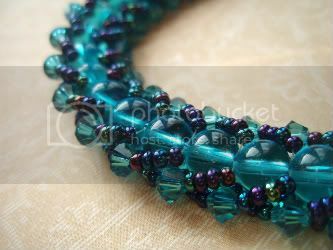 March’s birthstone is the cool, blue aquamarine. These stones are closely related to emeralds in their make-up, and have been recognized for centuries for their ocean-like hue. 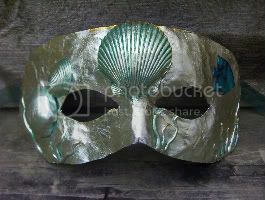 The aquamarine has had many roles, including a good luck charm for sailors and sea-farers. It is also the traditional gift for a 19th wedding anniversary. 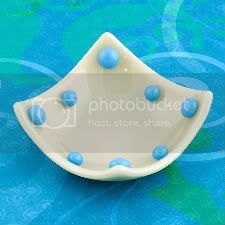 Pale or turquoise blue glass is often used to imitate the semi-precious stone, with beautiful results. Aquamarine charms and beads are perfect for ocean-inspired jewelry, and can provide a bit of cheer for everyone waiting for beach weather to come around. 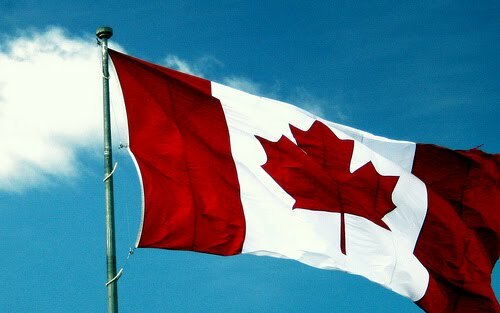 To see even more birthstone creations by Canadian artists, include the tag “OhCanadaTeam” in your searches on Etsy.com. Have you found any Easter Eggs yet? Many of our Canadian team members have begun their spring sales, hiding the Easter Egg logo throughout their shops. 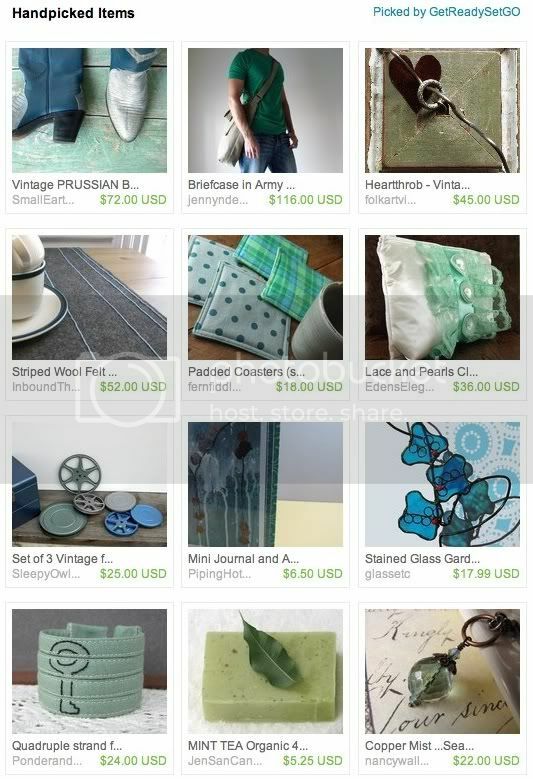 This treasury by Joanniel features picks from participating sellers. Check out their shop announcements for details on great Easter deals! 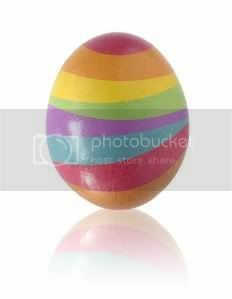 You can also find a list of shops, and hints for finding their Easter Eggs, in the official Easter Egg Hunt Promo Thread. Come join the Oh Canada Team for a Spring celebration sale! Select team members will be offering sale prices in their shops from Sunday March 28th to Monday April 5th. 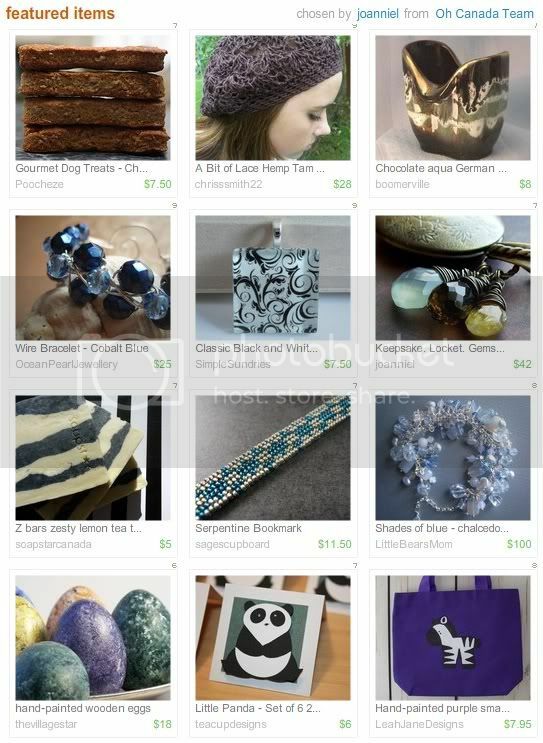 Look for the Easter Egg logo in Etsy listings to spot shops that are participating in this fun sale. Each shop will be offering their own special deals, so be sure to check out their Announcement for details. For a complete list of member shops, visit the official Oh Canada Team Profile page. 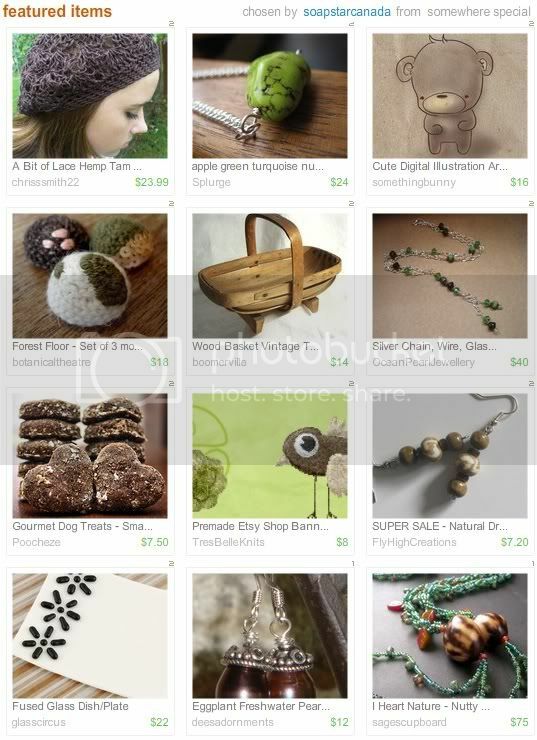 You can also look for specific products by adding the tag OhCanadaTeam to your Etsy searches. Over the past few weeks, stores have been filling up with candy, toys, and all manner of treats in pastel colors and spring shapes. Everything from bunnies to eggs are transformed into delightful treasures for kids to enjoy over the Easter holiday. 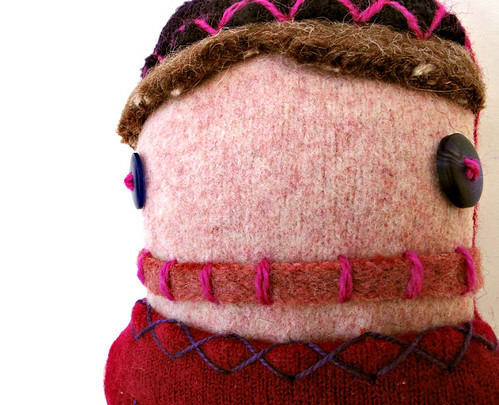 Many kids will be lucky enough to receive something handmade and unique, like this Comfort Doll by Wooldebeast. This adorable upcycled plush friend is more than just a great gift - it is also part of a series that contributes to an important cause. When you purchase one of these cuddly creations, a second doll will be donated to ICROSS. To learn more, check out the selection of handmade Comfort Dolls by Wooldebeast. In 1854, the Hudson’s Bay Company completed construction on the harbor bastion for their outpost in what is now Nanaimo, British Columbia. The small, three story fort was constructed entirely by hand, without a single nail. 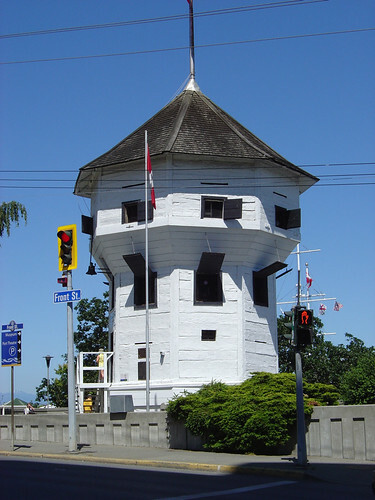 Today, it is the only surviving structure of it’s kind in North America, and is the oldest building in the city of Nanaimo. After the Hudson's Bay Company began mining coal in the area, with the help of the Snuneymuxw First Nations, the bastion was erected to offer protection to the workers and settlers. In addition to being a temporary shelter, it could also conceal up to 8 riflemen and 2 cannons, allowing them to defend the fort during times of trouble. Later, it would also serve as Nanaimo’s first jailhouse. Today, the bastion is one of the city’s proudest landmarks, and it is host to a tiny pioneer museum. During the summer months, residents and visitors can experience a traditional cannon salute every day at noon. Unfortunately, age and weather have started to take their toll on the bastion, and it has been closed for much needed repairs. Thanks to generous donations from the public and Hbc, restoration of the bastion will not be delayed, and the bastion will continue to serve as a reminder of the city’s heritage. Daily cannon firings will still be conducted starting on the May long weekend. With luck, the bastion’s doors will soon be open for all to enjoy! This Canadian Landmark was nominated by Nanaimo team member, The Sage’s Cupboard. 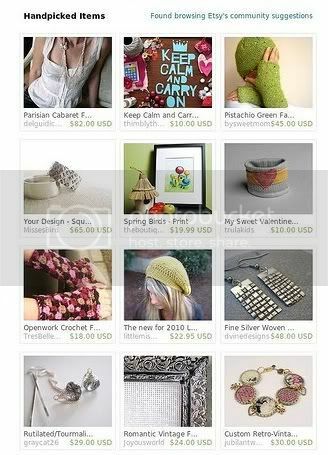 To see handmade creations and vintage finds from Canadian sellers, include the tag “OhCanadaTeam” in your searches on Etsy.com. Spring is all around us! The birds and bees are returning, waking us every morning with their cheerful chatter and buzz. Flowers have started to bloom, and it’s almost time to rearrange our closets. 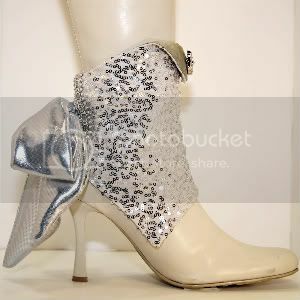 Now is the time for lighter jackets, bigger jewelry, and our lonely open-toed shoes will soon see the light of day! Members of the Oh Canada Team are also getting ready for warmer weather, with fresh new clothing and accessories in cheerful colors and designs. 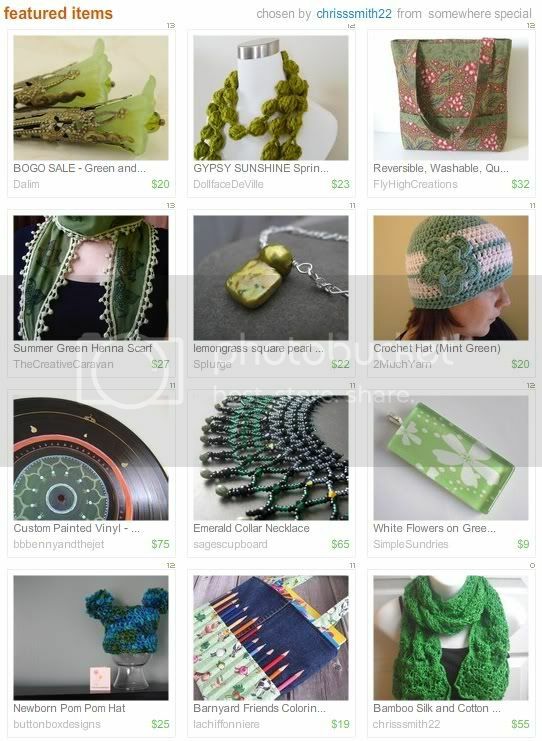 Springing Green, a treasury from The Art of Zen Crochet, offers up some beautiful selections in woodsy greens. 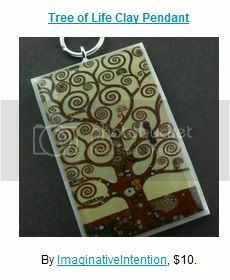 Canadian Treasures also creates a lovely woodland feel in warm browns and taupes. This collection was curated by team member Simple Sundries. 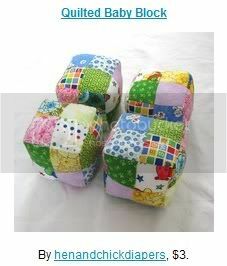 Congratulations to Oh Canada Team member Hen and Chick Diapers for making it into Etsy’s tribute to National Quilting Day. Nothing says "You're the Best" like a handmade card. Whether you take the time to make one yourself, or select one from an experienced artist, any gift can be made more memorable with the handmade touch. 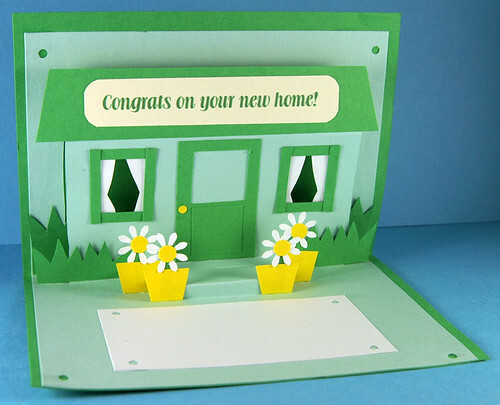 This lovely card from She's Batty Designs is perfect for spring, with it's lovely green and yellow palette. To see even more unique stationery designs and handmade accessories, visit She's Batty Designs. The official flower for the month of March is the beautiful, yellow daffodil. These nodding flowers are a sure sign of spring. 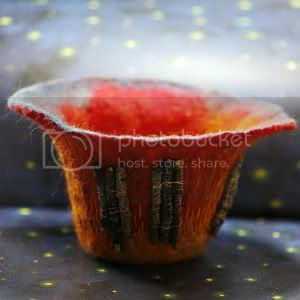 With their goblet-like petals, they are also quite charming - like a tea-cup for pixies. Also known as Narcissus flowers, they are associated with the Greek myth of a man who was so vain, he drowned while staring at his own reflection in a pond. Because of this story, the daffodil is often associated with vanity in Western culture. In Chinese tradition, the daffodil has a much more honorable role as a typical New Years decoration. It is a common symbol of wealth and prosperity throughout Asia. The yellow daffodil is also a symbol of friendship in many cultures. Daffodils have a sweet fragrance, and are a favorite among many flower gardeners for their scent and beautiful color. They originated in the Mediterranean region, and are now grown in a variety of colors all over the world. 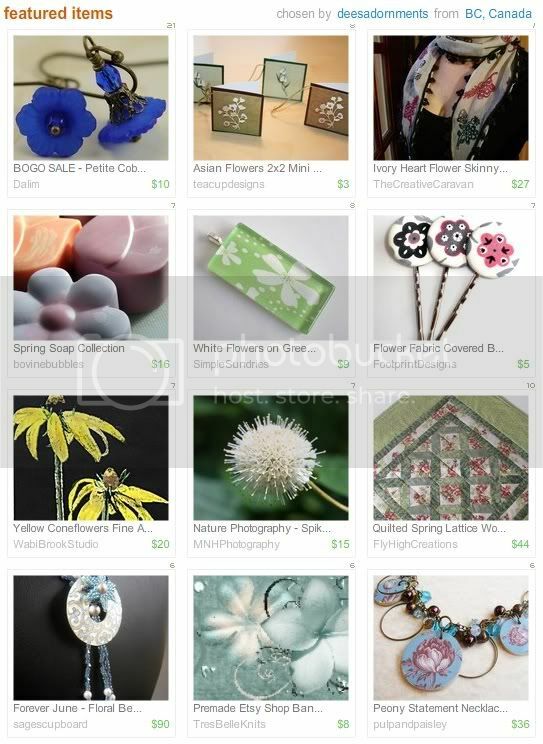 For an extra burst of flowery delight, Oh Canada Team member Dee’s Adornments shares this beautiful springtime treasury, Floral Canadian. There are few things in the world more cozy and comforting than something that was knitted by hand. From the hats and scarves that keep us warm in winter, to the blankets that we nap with on the couch, knits are the wearable equivalent of chicken soup. But the wonder of knitting and crochet doesn’t end there. Knit wear is a popular medium among some of the world’s best fashion designers, and is always a favorite for gift giving. At Tres Belle Knits, Christina Boulard channels her creativity into everything from coffee cozies to baby cocoons. Oh Canada has put Tres Belle Knits in the spotlight. 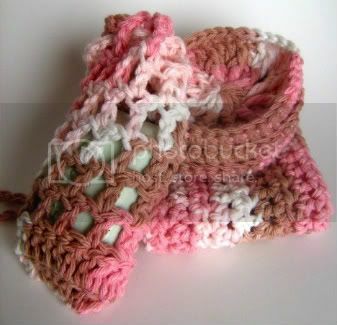 Christina: I love to create baby items. Especially for newborns. They hardly take any time to make so it's pretty much instant gratification. I also love how tiny they are...it brings me back to when my 2 year old was a wee one. 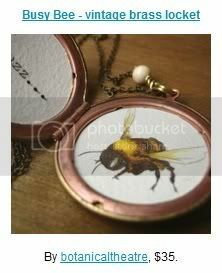 And I love to see my new creations on teeny new people! Christina: Honestly? The internet! I taught myself to knit by watching videos on You Tube and KnittingHelp.com. I also posted a lot of questions on the KnittingHelp forum. It's a great little community over there. Without them I think I would have thrown my needles out the window! I also taught myself to crochet. Mostly through You Tube, but when I had questions, I would message my wonderful friend Joy (who I've never actually met in person! We met on a "new mommy" message board) on Facebook and she would help me out. Christina: I've never been a creative person. I used to look at knit and crochet clothing and wish I could do something like that. I loved getting them as gifts for myself or my daughter but I thought it would be too difficult a thing to learn. When I finally did finish my very first piece, I was amazed and proud and thrilled. And each and every time I finish a new creation, I still feel those same things. That's what drives me. The feelings of pride and joy and accomplishment I get when I finish a piece or see someone wearing something I made with my very own hands. That's why I LOVE appreciation photos! There's no better feeling in the world. Christina: I would love to learn to write or paint. Both are completely different from what I do now. Christina: Yes! I'm working with a professional photographer and that has inspired me immensely! 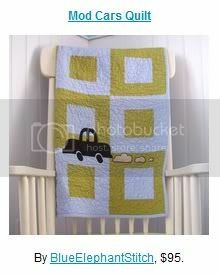 I'll be adding some newborn photo props like pea pods and cocoons as well as some hats for babies and bigger kids. Christina: The community, hands down. I belong to two great teams and a handful of BNR/BNS's. The people I get to chat with everyday make the slow weeks worth it. Don't expect it to happen overnight! That was my HUGE mistake! I opened my shop in late November, and I got slammed with Christmas orders! It was so much that I could barely keep up! I was only knitting then and I was up until 3am trying to finish orders, then getting up the next morning to start all over again. That REALLY fooled me! I thought that was what it would be like all the time. Boy, was I wrong! I sold my last Christmas order in mid-December. I didn't have another sale until mid-January! Even now, I can go weeks at a time without one sale and I market like crazy! Christina: Oooh, so many things! I'm always looking for cute dresses, clothes, ponies/bows and books for my daughter. For my fiance, it's hockey stuff and funny tees. But for me? I love soaps, edible goodies, anything Twilight or True Blood (Yeah, yeah, I'm addicted! ), wall art (like paintings) and yarn. 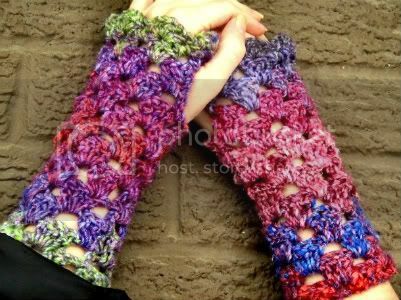 Christina: At the moment, I'm really proud of my openwork fingerless mitts. They've made the front page! But very soon, I think that will change. I finished some very sweet baby items that I will be listing in the next couple of weeks, with brand new, professional pictures! You can catch up with the latest news, products and sales at Tres Belle Knits on Twitter and on Facebook. 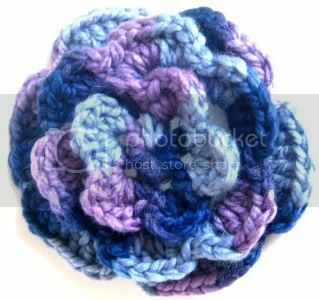 Christina also shares her inspirations on her blog, Tres Belle Knits and Crochet. Some new additions to the shop include premade avatars and banners for Etsy sellers. 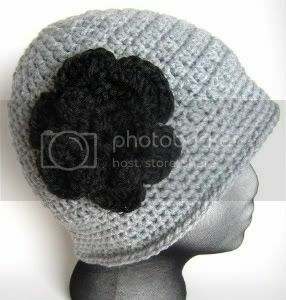 To see even more of Christine’s designs, stop by Tres Belle Knits and see what’s fresh off the hooks! How gorgeous are the earrings in this photo? 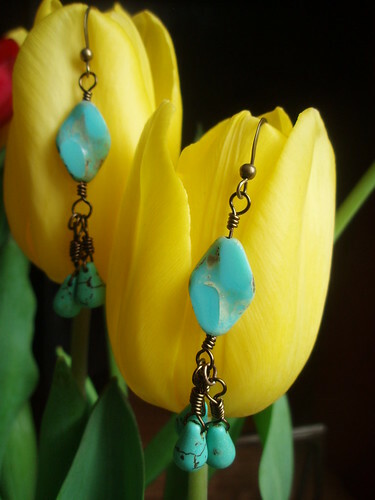 The pretty turquoise stones make such a great contrast against the yellow tulips, and are just begging to be worn with a sun dress. Spring just can’t get here fast enough! While we can’t make the weather change, we can bring ourselves a little cheer and indulge in some handmade treasures. 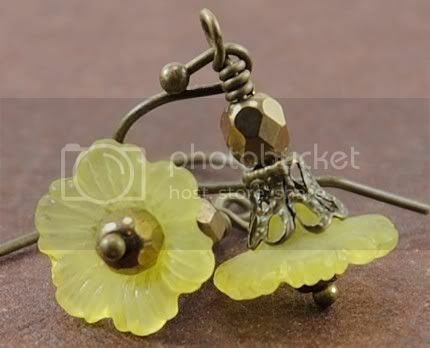 These earrings are made with vintage bronze wire and glass beads. To see more designs like this, including a matching necklace, visit Ocean Pearl Jewellery. Also in the spotlight today are some Oh Canada Team members that were recently Pounced by Etsy Finds. 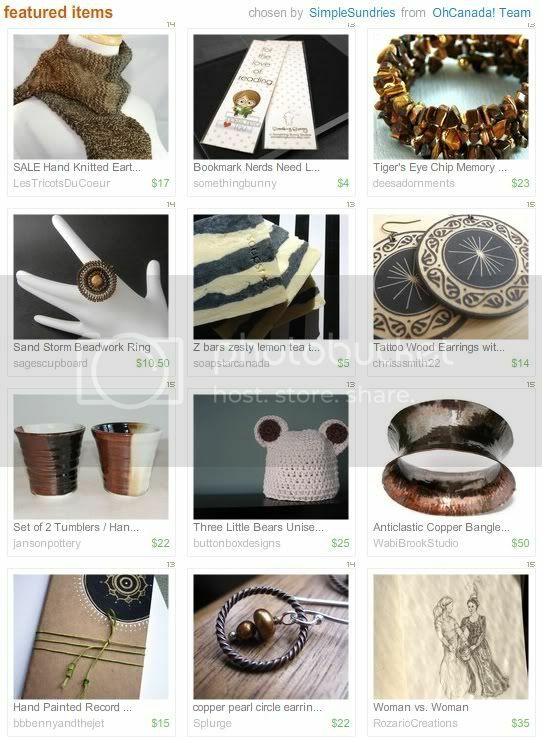 One of the neatest shopping tools on Etsy.com allows shoppers and curators to locate items from newly opened stores, as well as shops that have just had a sale. 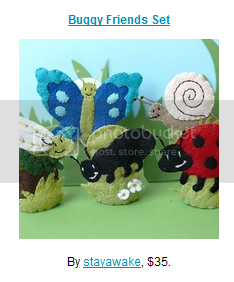 Blue Elephant Stitch, Botanical Theatre, and Piper Designs were all “discovered” with Pounce! 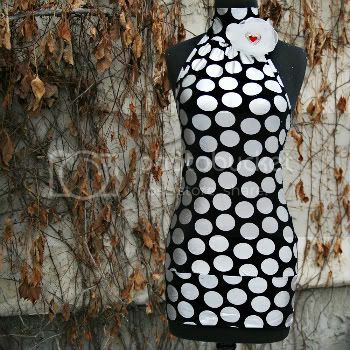 At some point in her life, almost every woman dreams of owning a garment by a famous designer. While wearing couture fashions may be luxurious, it will never beat the charm, and the thrill of wearing something that is one hundred percent one of a kind and unique. When we buy upcycled clothing, there is very little chance that any other person in the universe will have the same pieces. There is nothing more personal or stylish than a handmade wardrobe. 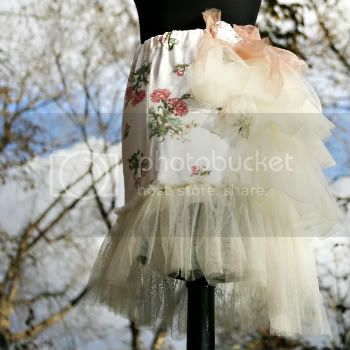 At pondhopper, artist and designer Lorraine turns forgotten fabrics and clothing into remarkable new fashions. 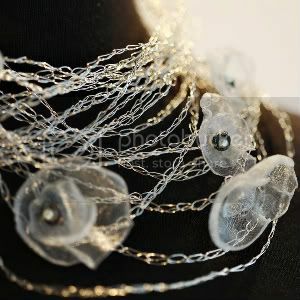 She also creates a wonderful selection of jewelry, accessories and home décor items from reclaimed and sustainable materials. Oh Canada has put the spotlight on pondhopper. Lorraine: I love variety, so it changes depending on the day you ask me! I like working on concepts that are not fully dictated in the beginning and the final outcome is a bit of a surprise because it has evolved throughout the creation process. Lorraine: Formally, I pursued drawing, painting, papercrafts and sculpting throughout my school and college years, studied sewing and textiles in England and learned about jewelry in Montreal. Informally, I grew up helping my Mum sew my dance costumes and learning photography from my Dad – I can still remember going into the attic where the darkroom was and watching the magical process of pictures appearing on a blank sheet of paper (pre-digital of course!). I continue to devour new knowledge through many avenues – there is so much to learn! Lorraine: I’d love to give you some noble or profound reason, but the truth is I am just addicted to everything about the process of creation - from the initial inspiration to the end result, I love it all! I really enjoy taking something that has a previous life and may otherwise be discarded and turning it into a unique new piece to be loved. Lorraine: Well of course I have a list! But the top five would be: lost-wax casting, book sculpting, glass blowing, metalsmithing, carpentry, watercolour painting, and calligraphy. O.k. that’s seven! Lorraine: No plans, but I’m sure there will be something new! Lorraine: Meeting wonderful people from across the globe. I also love hearing the stories and comments about how my items are used by their new owners. Lorraine: Don’t open up as a seller right off the bat - become a buyer first then take some time to thoroughly understand Etsy; hang out in the forums where there is a wealth of information to help you establish a successful shop (but avoid the negative and/or discouraging threads); purchase some items to experience the transaction process from a buyers viewpoint. This is valuable learning time that will help you decide how you want to present your brand - from the look of you shop, through policies, pricing and customer experience. Lorraine: It would be easier to list what I don’t like buying! Prior to “pondhopper”, my shop was called “House of Mouse” (had to set up a new shop as Disney has that name trademarked!). I made hundreds of purchases (all in the name of research you understand! ), but if I had to nail it down to one favourite I would have to say merino wool roving – gorgeous, beautiful, oh so soft roving in such delicious colours that came from sheep with names that I got to know – completely irresistible! Lorraine: MADELINE. 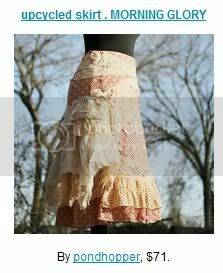 I love the contrast between the masculine wool tweed and the lacy, vintage cotton doilies. I also enjoyed the opportunity to create something for a little girl - I have two sons, grew up with two brothers and their friends, my husband has two brothers…not a girl in sight in my family! 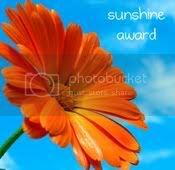 The Oh Canada Team Blog was recently honored with a nomination for the Sunshine Blog Award. We received this great compliment from CJ Grand of The Grand Design. You may recognize her from her fabulous Steampunk jewelry shop on Etsy. Stop by and see some of the wonderful creations and inspirations of these great bloggers! 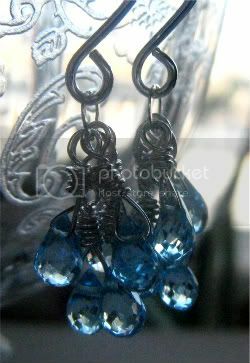 This week's Friday Find is a gorgeous pair of handmade drop earrings. 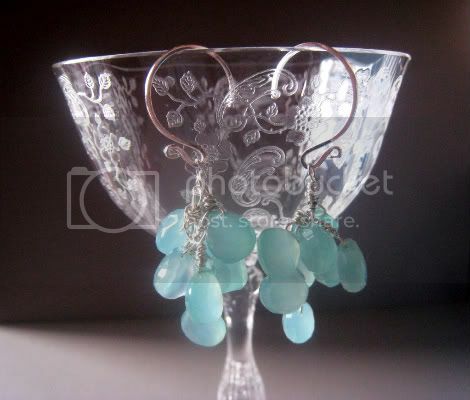 These little beauties feature C-shaped ear wires and clusters of wire-wrapped chalcedony briolettes. Now that the weather is warming up, it's time to accessorize again, and these earrings are a great way to greet spring! To see even more great jewelry designs handmade in Montreal, visit Little Bear's Mom. A beautiful treasury entitled Canada, Eh? features a variety of creations from across the country. This collection was selected by team member Leanne Designs. The Good Earth features some beautiful nature inspired items, and a handful of earth toned creations by Oh Canada Team members. 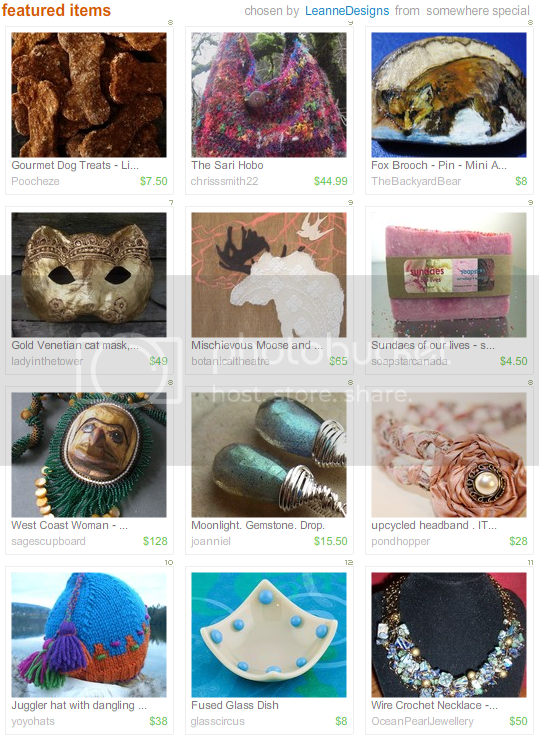 This treasury was curated by Soapstar. 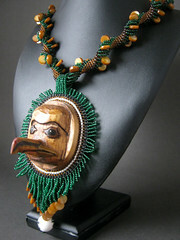 Congratulations to Nancy Wallis Designs for making it to the Front Page in this beautiful collection by GetReadySetGO. 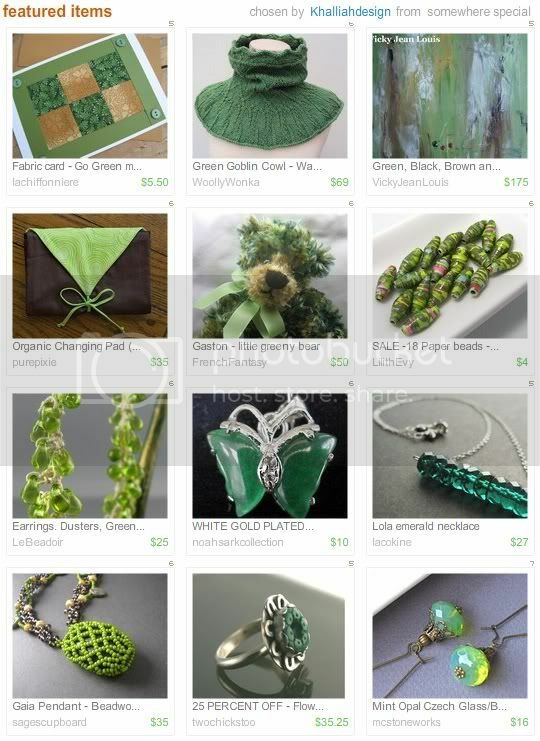 The Sage’s Cupboard is featured in Jungle Green by Khalliahdesign, along with a few other artists from Canada.